Every autumn, RuFES Network members start gearing up their free tax assistance promotional campaigns and programs. Their aim? Help low-income rural families file their taxes and obtain the Earned Income Tax Credit (EITC) and Child Tax Credits (CTC) for which they qualify. This tax season, you can make even more difference at tax time – by helping low-income families register for health insurance at the same time. The Affordable Care Act’s (ACA) launch in October brought big changes to the coming tax-filing season. This year only, health insurance enrollment under ACA will overlap with tax season! While penalties will apply in future tax seasons, this year, families can enroll in health insurance and get the coverage they need instead of a larger tax bill. Read on for the basics about EITC and CTC – and to learn how you can help families get wealthier and healthier this tax season. 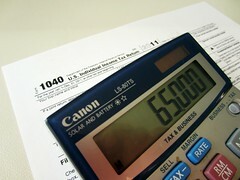 EITC is a federal tax credit for low- and moderate-income working people that encourages and rewards work. When an individual’s or family’s EITC exceeds the amount of taxes they owe, it results in a tax refund – but only for those who file and claim the credit. Besides the federal credit, twenty-four states, plus the District of Columbia, have established their own state EITCs, which can add to the refund bottom line. In addition, filing for and claiming the federal Child Tax Credit can reduce a working family’s tax bill by up to $1,000 per child, with portions beyond that fully or partially refundable as well. Why is offering EITC and CTC filing assistance so important to rural families? Research has consistently found that EITC and CTC are significant starting points to help low-income working families get ahead. They’re so important that the RuFES Action Framework names them as an explicit Keep It Goal: Families secure all tax benefits for which they qualify, starting with those that reward work – the Earned Income Tax Credit and the Child Tax Credit. In fact, recent analysis by the Center on Budget and Policy Priorities (CBPP) showed that the EITC and CTC kept 1.4 million rural Americans, including 700,000 children, above the poverty line in 2011. Yet many rural working families still miss out on these valuable tax credits. To raise awareness, many RuFES Network members have run successful public awareness campaigns about the EITC and CTC. 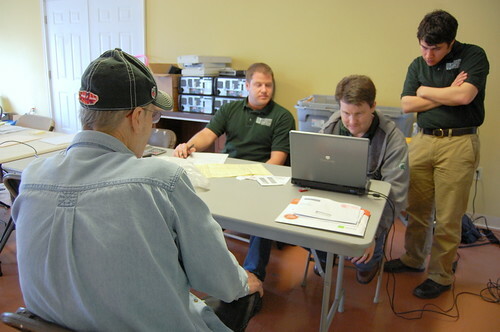 And every tax season, Network members connect families with tax preparation clinics at rural Volunteer Income Tax Assistance (VITA) sites – and many even run one themselves. What’s new with EITC and CTC this year? Every year brings a few new EITC/CTC updates and details to absorb. We are here to help! We have collected the major updates and available resources here. Help rural families claim EITC/CTC and get affordable health insurance, at the same time! This year, tax preparation sites have a unique opportunity to help families get health insurance at the same time they help families file for EITC and CTC. Why? Because many of the families filing for EITC/CTC will qualify for new tax credits that cover some or all of the cost of health insurance policies purchased through the new exchanges. What’s more, families and individuals without coverage have from now until the end of March to sign up for insurance through the exchanges or through Medicaid – roughly the same time period for filing for EITC/CTC. One organization taking advantage of this opportunity is Foundation Communities (FC), a non-profit that serves communities in north Texas. FC opened its tax assistance sites three months early to help residents enroll in health insurance. Elizabeth Colvin, the initiative’s director, reports that FC trained 65 tax volunteers to also be certified health insurance application counselors. So far, Foundation Communities has helped 800 families review eligibility for health insurance tax credits and shop for coverage. By the end of tax season, they hope to enroll 5,000 families in health coverage while providing tax prep services to 18,000 families. Want more info and ideas? Check out the RuFES EITC/CTC/Affordable Health Care Webinar! To help you integrate ACA into your EITC/CTC efforts, the RuFES Action Network is offered a webinar on November 18, featuring Elizabeth Colvin, Impact Investment Director from Foundation Communities and Tara Straw, Senior Policy Analyst in the Health Policy Department of the Center on Budget and Policy Priorities. Both shared their organizations’ complementary efforts to link ACA, EITC and other tax preparation assistance for rural families.